We have a winning badge design for WAVES! We have a winning design from our county competition to design a badge for the WAVES 2017 county camp! 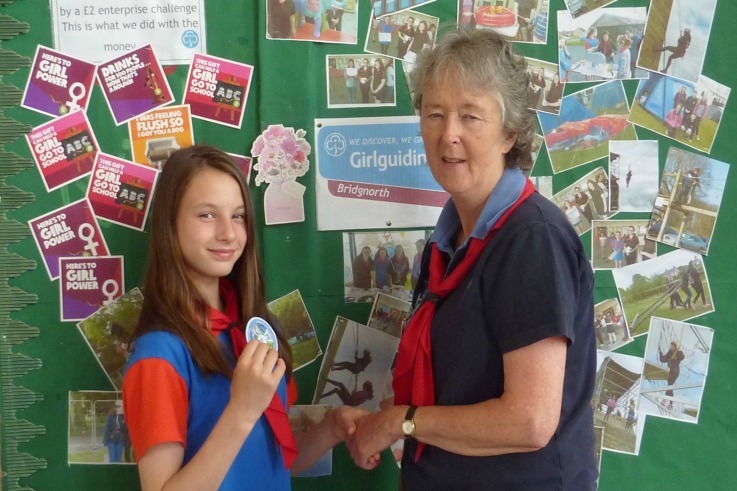 A big congratulations to Heather from 1st Bridgnorth Guides, whose design was chosen as the winner in our competition. Heather will get to see her badge designed and given to all of our camp participants. WAVES 2017 is Shropshire’s centenary county camp, to be held at Blackwell Adventure in Worcestershire, 19-26 August 2017. We are in need of volunteers to assist with lots of roles across the camp – please see the Events page for more details on what we need, and bookings for groups will open in September.